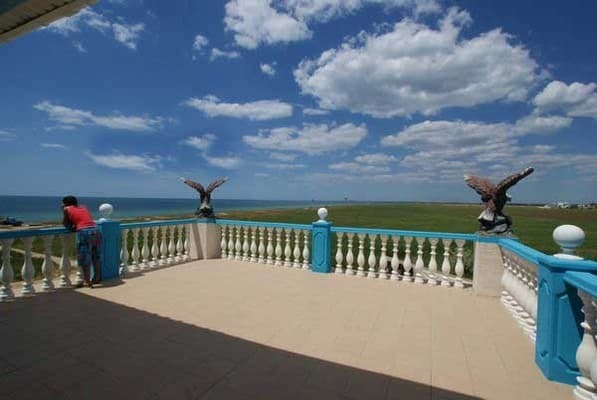 Guest house "Flying Dutchman" is located 7 km from the city of Evpatoria in the village. Zaozernoe 50 meters from the sea. 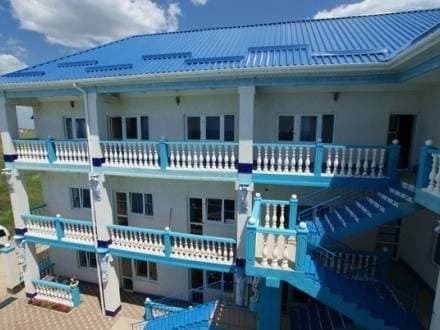 The hotel "Flying Dutchman" is represented by a new three-story building with 27 comfortable rooms with all amenities. In the rooms: double bed, sofa, wardrobe, bedside tables, shower, toilet, washbasin (hot and cold all the time), new furniture, fan. 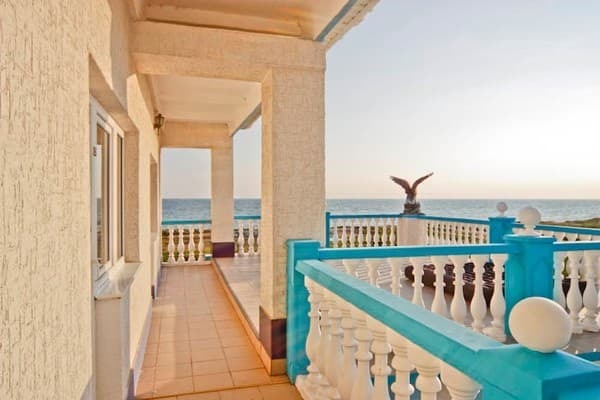 In front of the rooms is a large terrace with table and chairs with sea views. Parking is available on site. The sandy beach with a gentle sunset in the sea. Ideal for families with children. Domestic cuisine will please with its variety. Food is cooked by professional chefs. And besides complex food there is a varied menu on request. PRICES MAY CHANGE, YOU NEED TO RECEIVE INFORMATION FROM THE OPERATOR! Description of the room: The room has everything you need for a comfortable stay: a double bed, a sofa, a wardrobe, bedside tables, (a cold and a hot one all the time), new furniture, a fan. The average area of ​​this category is 17m2. 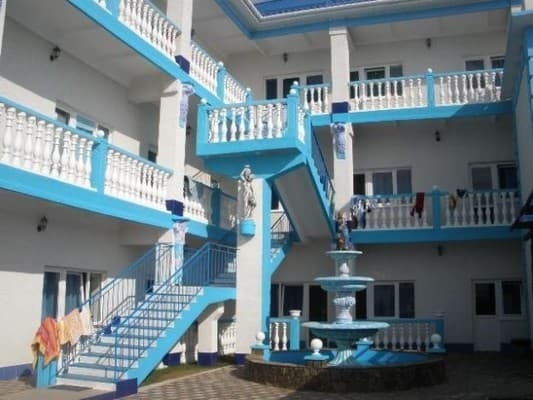 There are also rooms with balconies. Description of the room: The room has a double bed, a sofa, a wardrobe, bedside tables, (a cold and a hot one all the time), new furniture, a fan. Description of the room: Superior room is the most chic hotel room. The total area of ​​the room is 30 square meters. 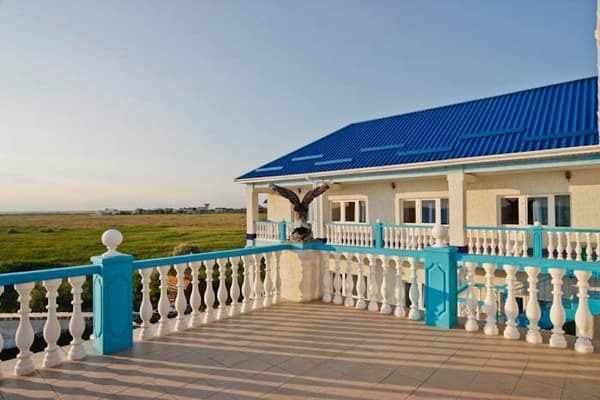 Guest house "Flying Dutchman" is located 7 km from the city of Evpatoria in the village. Zaozernoe 50 meters from the sea. You can get to Evpatoria by train or bus. Further from the railway station or from the bus station you can order a taxi, minibus 10 min. or book a transfer from the Guesthouse "Flying Dutchman".